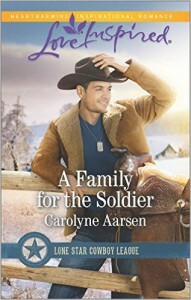 Last year I was blessed to be asked to contribute to Harlequin Love Inspired’s 2015-2016 continuity miniseries, Lone Star Cowboy League. 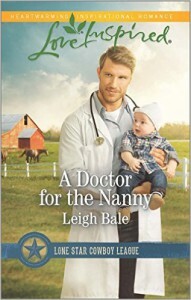 My current release, A Daddy for Her Triplets, is book five in this six book miniseries. It’s been a wonderful experience for me, enough that I’m doing it again for next year—Lone Star Cowboy League: Boys Ranch. My title is The Doctor’s Texas Baby and will be out in February 2017. However, there seems to be a lot of confusion over what a continuity miniseries is, so I thought I’d try to explain it for future reference. A continuity miniseries is created in-house. The editor in charge creates all of the characters, plots and conflicts and relies on the authors she’s chosen to work the series to flesh out the characters and stories and bring them to life. 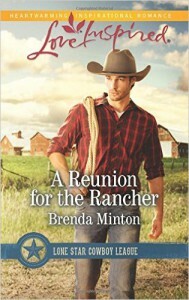 In the case of Lone Star Cowboy League, there are six individual love stories, and one mystery that spans the length of all six books. 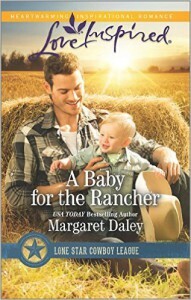 So basically, unlike my Cowboy Country books, where each story is a complete stand-alone, A Daddy for Her Triplets intentionally leaves threads dangling. As book five out of six, Clint and Olivia get their happily ever after, but readers don’t yet find out who done it regarding the mystery. This is understandably frustrating for a reader who has picked up my book without realizing it is part of a continuity. For a reader, a continuity is an exciting, fascinating way to find new favorite authors, and being able to get to know a town and its residents through a miniseries is always fun. So I encourage you, if you haven’t already, to read the full story of the Little Horn, Texas Lone Star Cowboy League. I do in home daycare, so usually have little ones around. I can picture the commotion triplets would cause! Thanks for explaining the mini series concept, I was wondering what they meant. I love the title and have been looking forward to the book. Thank you! Didn’t the art department do a great job on the triplet? So cute! And the cowboy isn’t bad, either. This is interesting, Deb. I had no idea the continuity miniseries is created in-house. Congratulations on making Publisher’s Weekly Bestselling list! It’s a different kind of animal, for sure. I wasn’t certain I would be able to take someone else’s ideas and characters and do them justice but I’ve found it’s a new kind of challenge–and I get to work with some really awesome authors. And thank you! Hey Deb, congratulations on hitting the PW Bestsellers’ list! 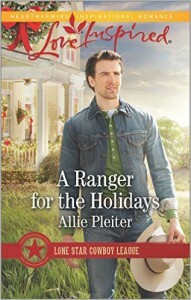 Obviously, I LOVE the Lone Star Cowboy League books. Such a fun story line. Congrats back atcha, Lee. What an honor it was! Thanks for sharing what the continuity miniseries is. I actually thought that in all cases authors came up with the ideas and story line. It’s good to know that there is more to writing these books. It is only specifically the continuity miniseries (with different authors) where we aren’t writing our own books. Everything else you read in Love Inspired is 100% the author’s ideas (with editor input.) With the continuity, it isn’t the author’s name on the copyright. I loved hearing how the continuity miniseries works! And a HUGE congrats on hitting the PW bestseller list!!!! It’s a great series, Melissa. Hope you’ll be able to read the whole thing. Congratulations on making the PW list. That’s a cool concept – what fun for you and the others on the project. This was a fun mini-series to do and I really enjoyed working with all of the ladies involved. Tip of the hat to Deb! Thanks for showcasing it. Congratulations! Thank you also for explaining the concept! Ohh, sounds good! And I hate dangling plots…lol! I’d have to have ALL the books in this miniseries, thanks for listing them in order. Please add me to win a copy of your book Deb, thank you for the chance.